Why should I use a mobile DJ instead of a band? Bands give a level of excitement because they are actually there performing for you. much larger selection of music and songs than a band will. I have a friend who likes music. Why can't he DJ for me? He can! But, will he have the necessary equipment and knowledge? Is he going to have the know-how to run an event with all of its aspects, is he going to bring over 40,000 songs to your event? It can be hard to count on your friend's good intentions. You want your event to be memorable, not awkward. Remember, there are no second chances on your wedding day. Typically, I arrive an hour or more before my part of the event begins. If you are getting married and having the reception in the exact same location, I will arrive long before the wedding begins. How will you dress at our wedding or event? I wear whatever you think is appropriate! The most commonly requested outfit is the black tuxedo, but you make the call. Who picks the music that you will play at our event? You! You have the type of music in mind for your event, and I want to play that for you. Still, it is impossible to pick each song for your event, so I will use my experience and 40,000 plus song selection to make your event everything it can be. Who will oversee the events at our event? Typically I do, because we have planned every detail of the day out at our meetings. I will work with the rest of the professionals you have hired, such as your photographer, videographer and caterer to make sure each of your events, such as the garter and bouquet, happen in a timely manner. None! Zero! 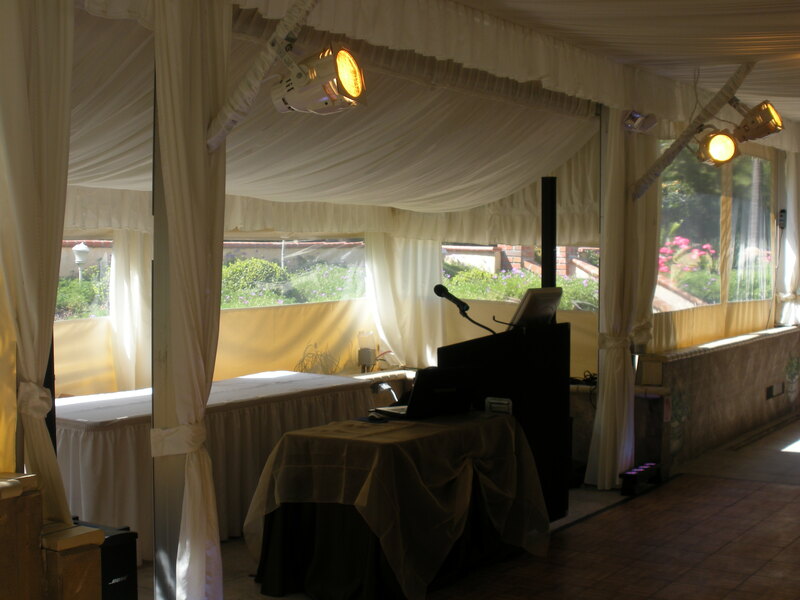 There are extra charges for extra services such as lighting, extra speakers, etc., but these are openly discussed before your event, and only charged if you need or want them. It will all be clearly stated in the service agreement. Do I have to tip the DJ at the end of the night, or to get requests played? No. I never put out a tip jar. Many people have tipped me over the years if they felt it was appropriate, but never was one suggested by me. How can I reach you at the last minute? If you need to reach me just before the event you can by calling my cell phone. I give the number out to each booked client. What makes one DJ better than others? Plenty! Your event is important because it is your event. I will work with you to add any number of special features to your event to make it very memorable and very classy. Remember, a bad DJ will ruin your event. A great DJ will make it a great event! Ask for references. Will you be our DJ Entertainer, or will you send someone else to our event? Great question! I am proud to be the sole DJ Entertainer for my company. 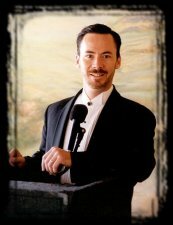 In the past I have had other professionals working for me, but I found that my level of service is best when I can concentrate on your event, and not on two or three other events, and the entertainers working at them.